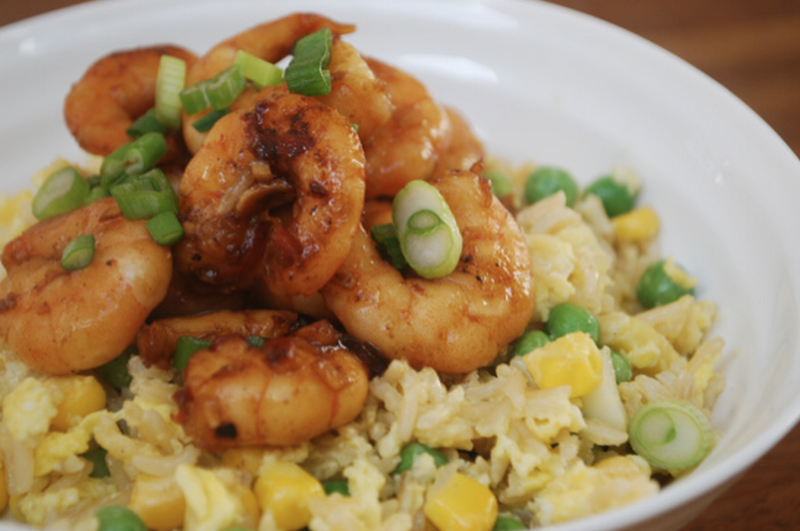 This is really two separate recipes: egg fried rice and sesame and soy prawns. 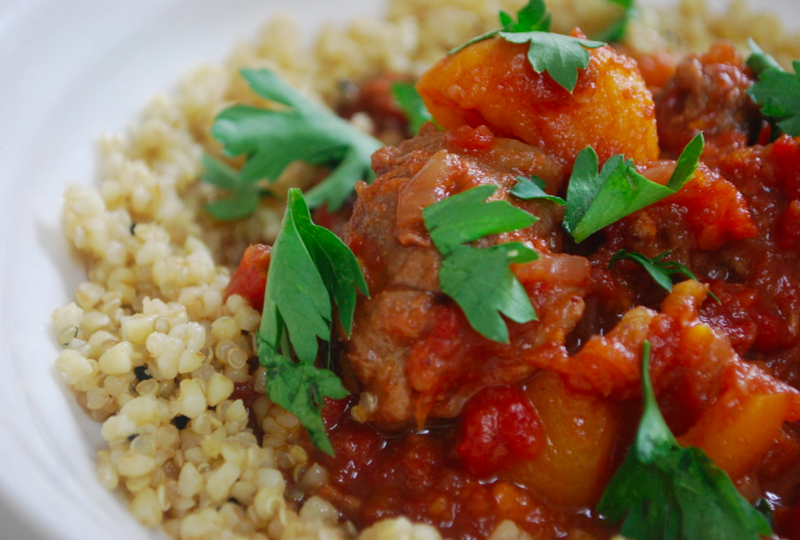 Both are very quick to do but full of flavour and good for you! 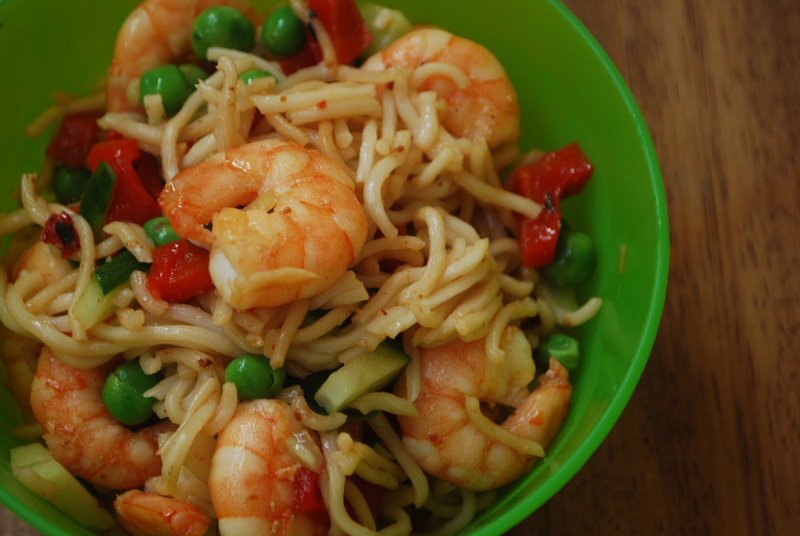 The prawns are full of vitamin E and protein and the brown rice is easier to digest, high in fibre and selenium which helps to reduce the risk for developing common illnesses such as cancer, heart disease and arthritis. 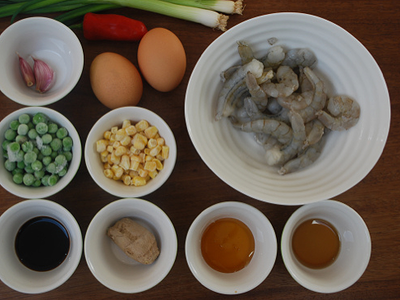 Place the prawns in a bowl and add the honey, sesame, soy sauce, ginger, garlic and chilli and mix to marinate for up to 10 minutes. 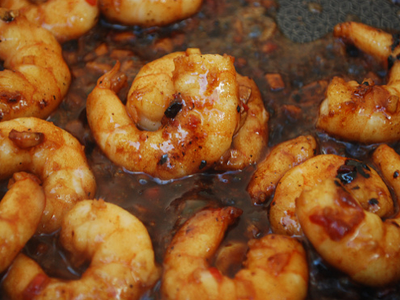 Note, if you are really rushed you could just marinate the prawns in the sesame, soy and honey and leave the ginger, chilli and garlic out. Heat a little coconut oil in a pan (ideally a non-stick pan as the honey with caramelise quickly) and allow the pan to get moderately hot. Add the prawns and cook for a couple of minutes on each side or until cooked through. They will turn from grey to a lovely fresh pinky/coral colour. 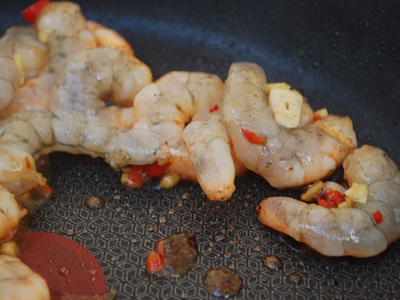 Allow the marinade to reduce down slightly in the pan and thicken up to start to coat the prawns lightly. 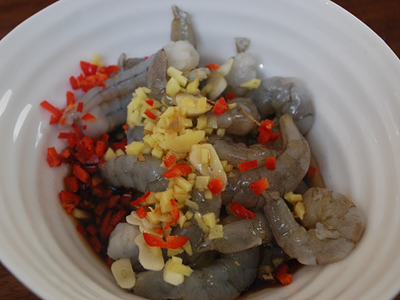 Take the prawns out of the pan and place in a bowl or somewhere they can keep warm while you get on with the rice. 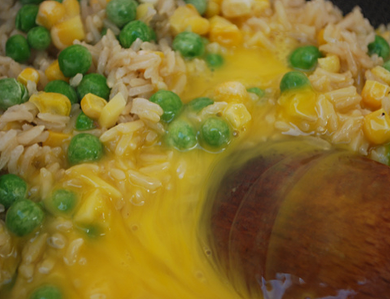 Heat up your non-stick frying pan or wok and add a generous knob of coconut oil to the pan. 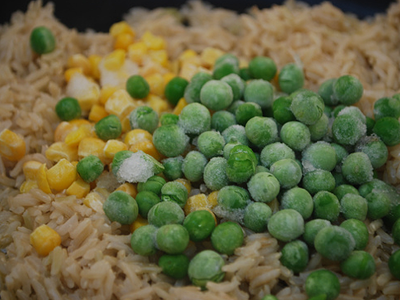 Add your cooked rice, frozen peas and sweetcorn and stir. When the pan is getting nice and hot add your mixed eggs. Allow to sit for a few seconds and then stir with a wooden spoon. 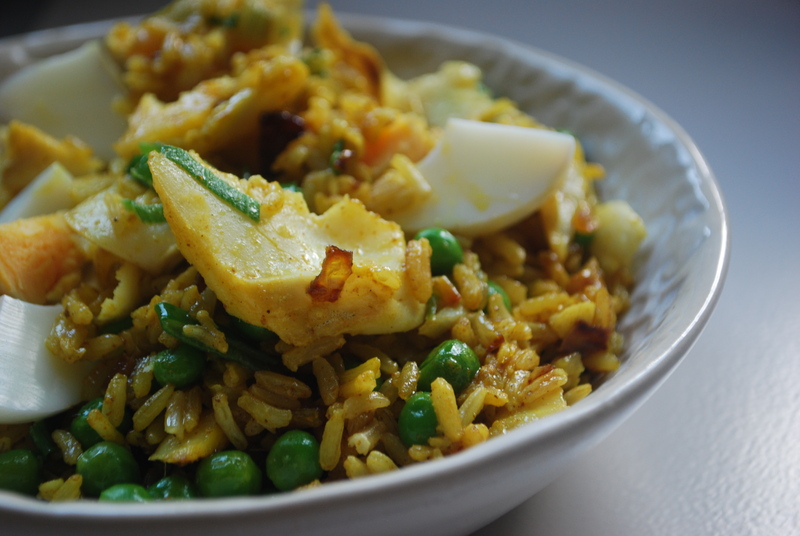 You will see that the egg begins to coagulate and cook and small pieces of egg will start forming around your fluffed up rice. Season, sprinkle with spring onions and serve.